Setting up a cruise down from WalMart in Neshaminy at 9:45 and leaving around 10:30 or so. Where Wendys by the Wal-Mart. 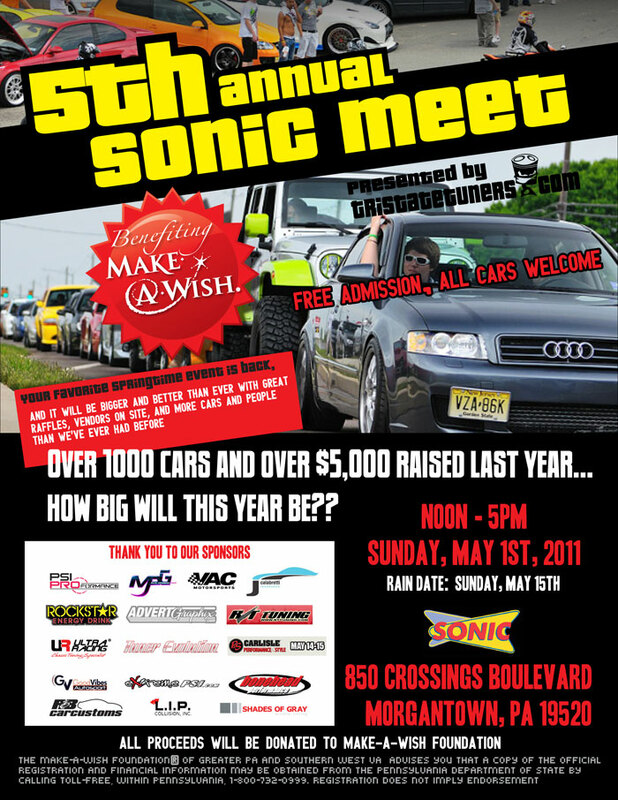 Lets make this a good turnout for 2011. I will be updating this thread of who is going and who isn't. Either respond here or PM me if you are going to this this year. Last edited by lownslow95; 04-28-2011 at 09:42 PM. I'm in. RR isn't really too keen on us taking over their parking lot again, so I'd suggest the Walmart down the road a bit. Send a private message to Got Insulin? Find More Posts by Got Insulin? I may be heading there from warrington, but if that changes i'll be with this train. pray for clouds. still debating if im going with a caravan or solo dolo. List and meet spot have been updated. Eric, whose rolling with you?? I dunno yet, its kinda early to tell lol.